This graph depicts the share of survey participants that follow Major League Baseball in 2014, by household income. 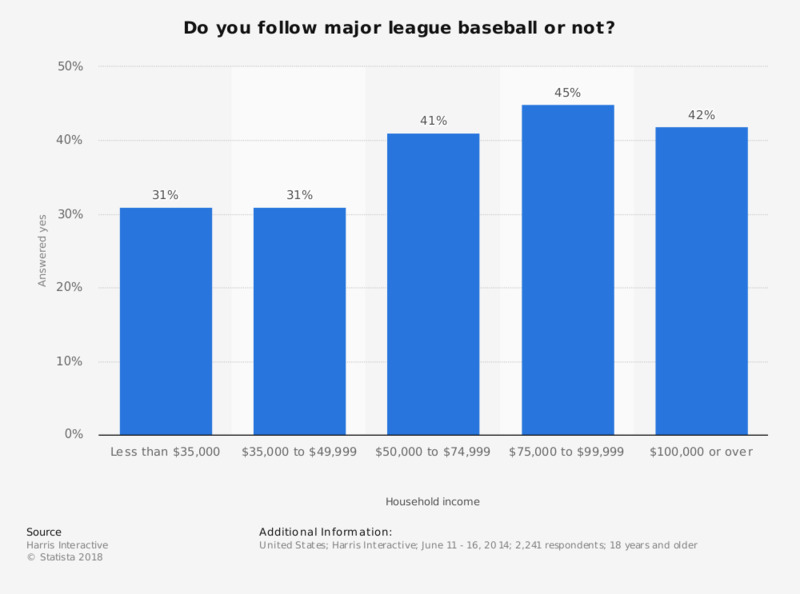 31 percent of respondents with a household income of between 35,000 to 49,999 U.S. dollars said that they follow Major League Baseball. If the upcoming NFL season is delayed, what is the likelihood of you watching it when it returns?